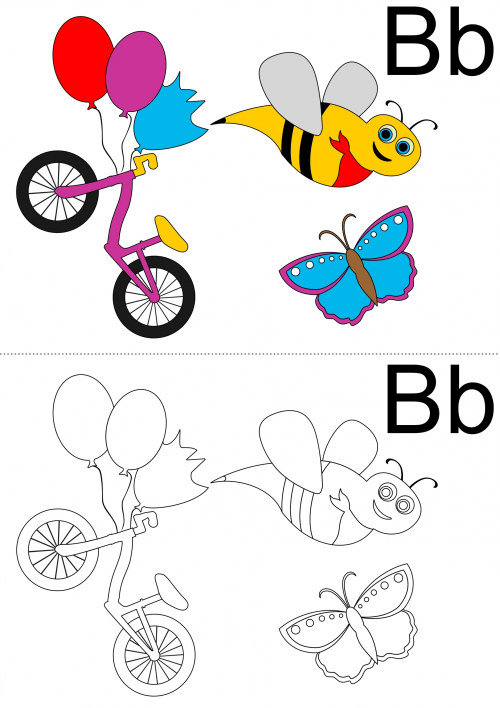 A coloring page featuring vocabulary that being with ‘B’: bicycle, balloons, burst, bee, and butterfly. For a fun, descriptive activity, fold the paper along the dotted line, and have your child color the picture without looking at the original. Unfold, and have them describe the difference! Great practice for naming colors and working on ‘B’ vocabulary.